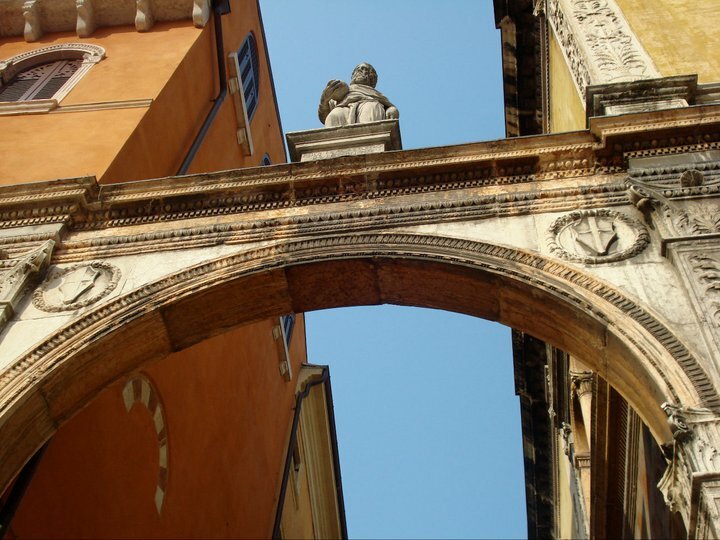 I thought it only appropriate this Valentine’s Day to write a post about the most romantic city in the world: Verona. Verona is of course, famous as the home of Shakespeare’s Romeo and Juliet and that, in itself, is reason enough to sweep your innamorata to this charming Italian city for a romantic break. 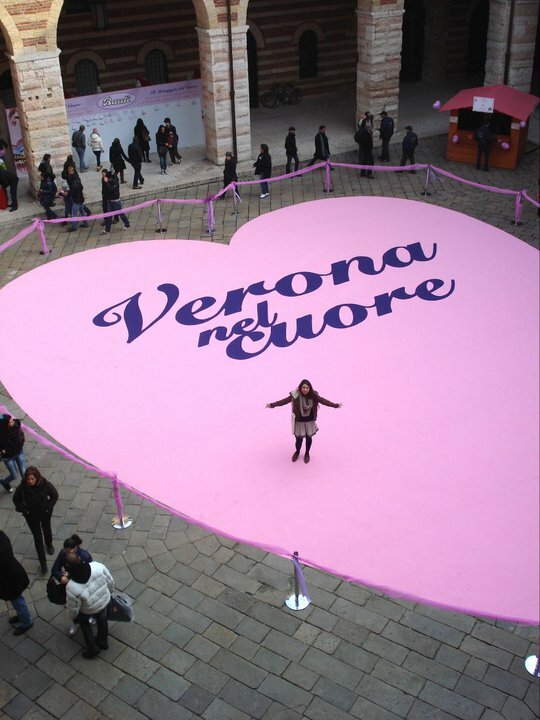 The city organises a huge festival (Verona in Love) over Valentine’s weekend to celebrate love and romance, filled with events, concerts, talks, food markets, champagne tastings and a range of other ways to enjoy the city. However there are a million reasons to go to Verona at any time of the year and I’ll try to highlight some of the best of this UNESCO World Heritage Site below. 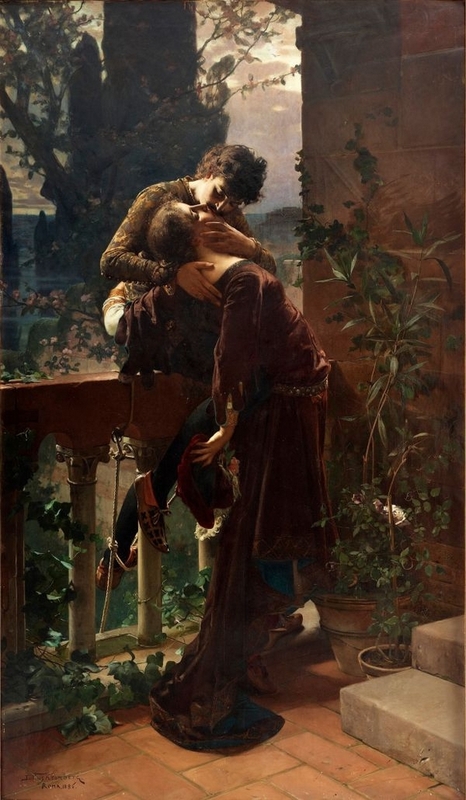 The most visited site in Verona is by far the Casa di Giulietta, purportedly the home of the Capulet family. Whether or not this beautiful house was indeed the true home of Juliet is irrelevant as people from all over the world flock here in their masses to stand up on the intricately carved balcony, to touch the right breast of the bronze statue of Juliet (to bring good luck) and… to write Juliet a love letter. Since the 1930’s, letters arrived at Juliet’s address in Verona seeking advice about love, or just sharing a story of love. 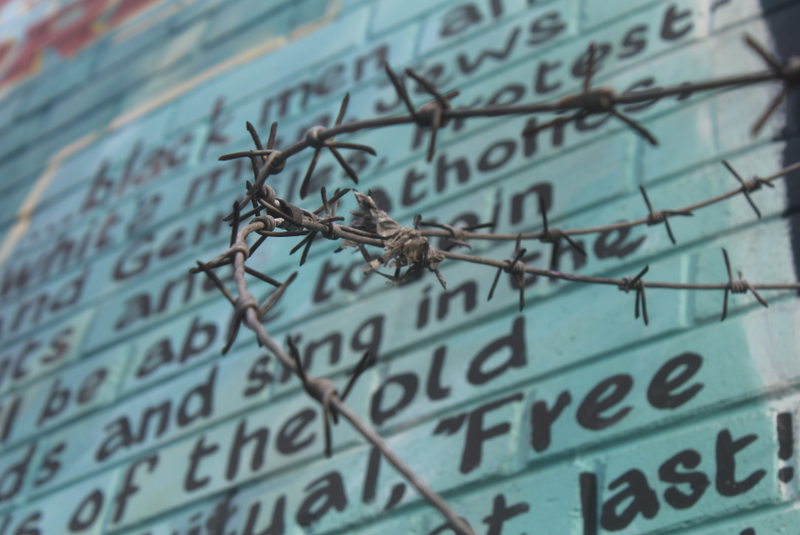 The letters (and now emails) are written in a multutide of languages and are read and replied to by a group of volunteers known as Juliet’s Secretaries who form the Club di Giulietta. A few years ago, I wrote to Juliet on a whim while in Verona and received a letter back to say that I had won the yearly competition for the most beautiful letter! 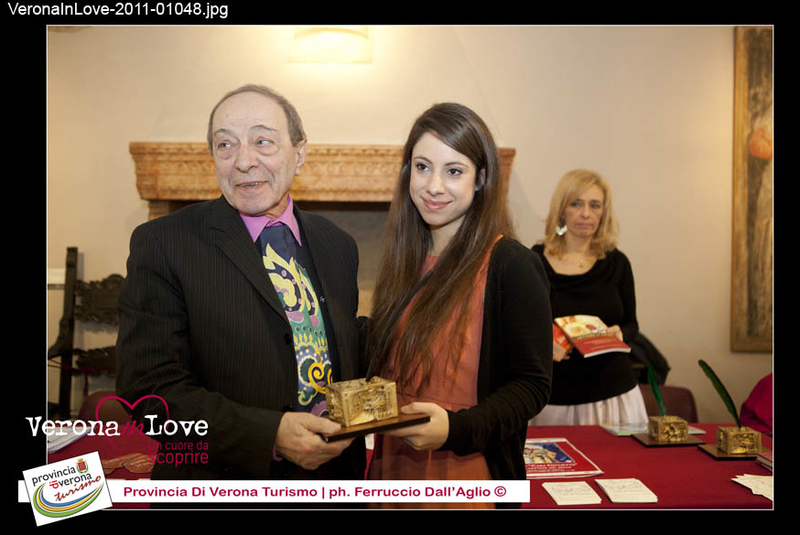 I was flown out to Verona where I met all the wonderful members of the Juliet Club and the founder Giulio Tamassia Since then, I have helped to respond to the many letters sent in English; the work they do is inspiring and I will forever have them in my heart! If you wish to write Juliet a letter, you can find the address below on the envelope! All Italian food is like a gift from God himself, and the food in Verona will not disappoint. The best thing about the North of Italy is how easy it is to find fresh truffles for incredibly reasonable prices! A restaurant that I would definitely recommend is the Osteria da Ugo. Another famous Italian dish that Verona does extremely well is the cotoletta! This pork cutlet fried in butter and bread crumbs is very similar to a wiener schnitzel, but in my opinion, much better! The best things to eat in Verona are the Baci di Giulietta (Juliet’s kisses)! These little chocolate and almond biscuits seem to only be found in this exceptional town and are the best things I have ever tasted. 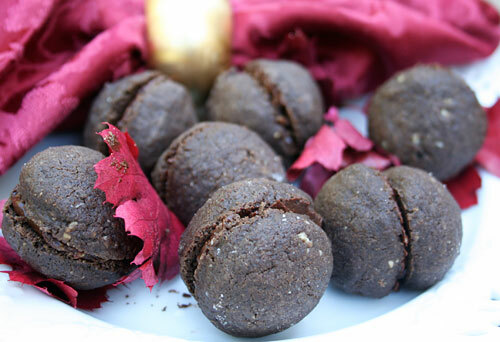 Rich, decadent, crumbly, moist… no wonder they are named after kisses – I think I’d happily forsake real kisses for these! The best place to find them is the Pasticceria Perlini. This is one of the best preserved Roman buildings in the world! Built in AD30, the arena once welcomed visitors from all over and could seat 30,000 people in ancient times. In the 1850’s it was reopened as a place of entertainment, however this time for classical music and musical theatre due to the incredible acoustics. 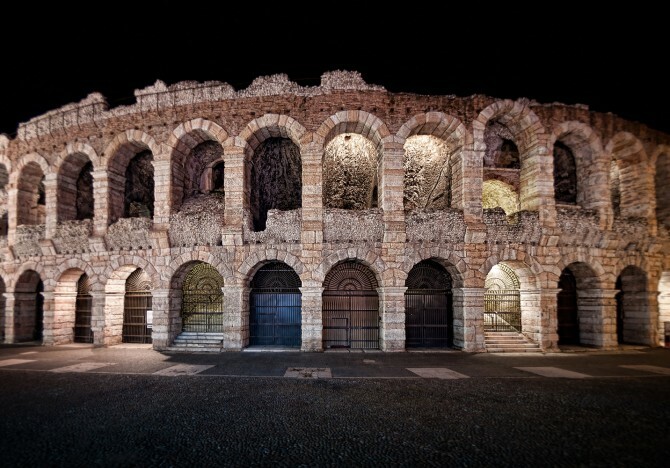 That tradition continues on to this day as every summer the Verona Opera festival is held in the arena with 3-4 performances held every year. Forget the Royal Opera House in Covent Garden, this will be the most spectacular place you will ever watch the opera. As you enter, you are given a small candle which is lit after sunset and the tiny lights and the music transform the arena into a place that does not quite feel real – an otherworldy experience full of magic and emotion. I felt privileged to be able to watch Verdi’s Aida at the Arena on a hot summer night under the stars, and would strongly recommend this once in a lifetime experience. Piazza delle Erbe: This is the largest piazza in Venice and, day and night, it’s always buzzing with life! The piazza is lined with beautifully painted houses, palaces and historic buildings, make sure to look out for the St Marks Lion (winged lion) statue atop a white marble column – the symbol of Venice. 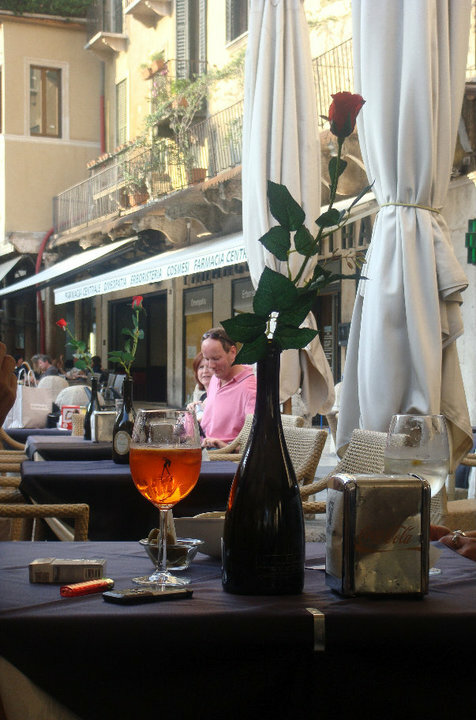 Sit down at a bar, treat yourself to a spritz, perhaps the most famous drink of the Veneto region (unmistakeable with its orange glow) and watch people go by! This is a group of five Gothic tombs belonging to the Scaliger family, who ruled in Verona from the 13th to the late 14th century. You definitely can’t miss them, these giant works of art are watched over by winged angels, dogs, and surrounded by iron latticework forged in the design of little ladders – the emblem of the Scaglieri family. This beautiful tower is situated next to the Piazza dei Signori. Make sure to climb to the top to get an unparalleled view of the city, especially during the Verona in Love festival when the piazzas are covered in hearts! (See image at the end of the article). The building that snakes up to the tower wraps itself around a small courtyard and is built in layers of dusky rose and beige bricks so ends up looking a bit like an opera cake! The architecture in Verona is so incredibly varied, different styles and different colours pull you between different eras and families! Also known as Piazza Dante, the faded gold yellow paint and marble arches suround the many statues in this elegant piazza. My favourite is the statue of Girolamo Fracastoro, an Italian poet, mathematician, geographer, astronomer and specialist in epidemic diseases. According to local legend, the stone ball Fracastoro holds in his hand, which symbolises the world, will fall onto the first honourable person to walk under the arch. To this day, the ball has yet to fall, and this was considered a way of making fun of the powerful people of the city. This is the most important jewel of the Scaliger family jewelled dynasty, built by Cangrade (nicknamed the raging dog), the Lord of Verona who ruled with an iron fist and drove the inhabitants of Verona to poverty. 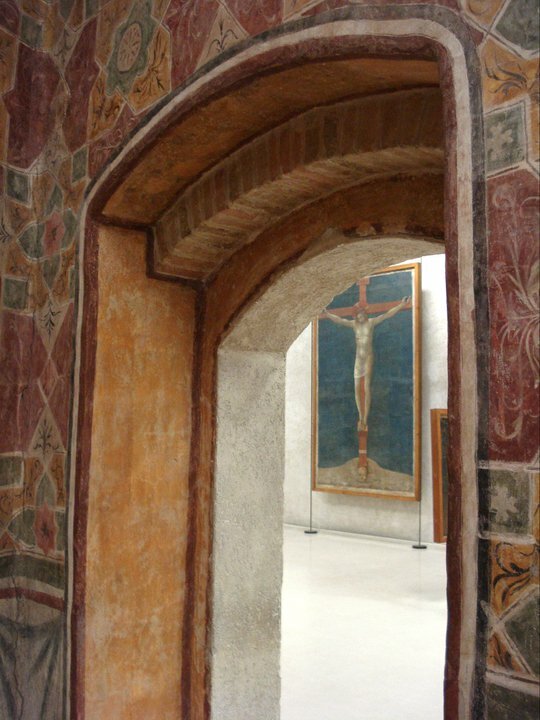 The castle is now home to the Castelvecchio museum (filled with beautiful works of art) and it is joined to the main city of Verona by the Castelvecchio bridge, or Scaliger bridge. The bridge crosses the Adige river and was the largest bridge span at the time it was built, however it was destroyed in 1945 by retreating German troops, so the bridge that stands there today is a faithful, but modern reconstruction. 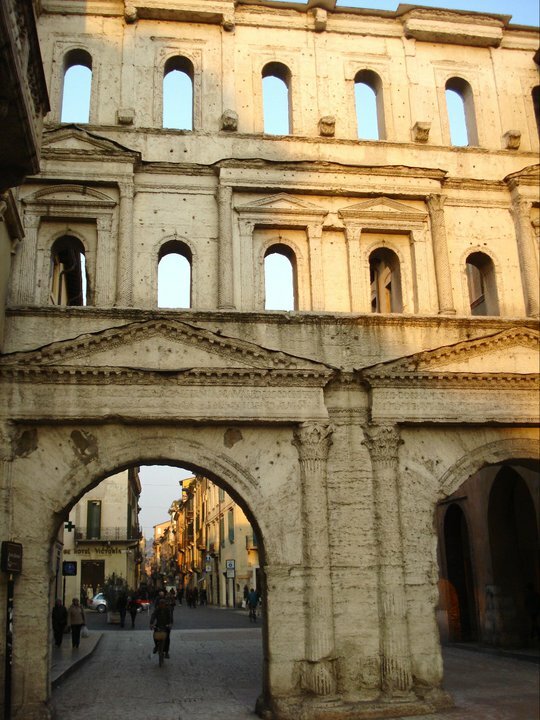 Porta Borsari: an incredibly well preserved Roman gate, orginally named after Jupiter. The first few times I visited Verona, I went just for a day from both Trento and from Venice. The train lines in the north of Italy are amazing so make sure to visit a few different places while in the Veneto region! The third time, my accommodation was organised and paid for by the Juliet Club when they flew me out for the prizegiving ceremony. I stayed at the Palazzo Victoria which is a large and very impressive hotel opposite the Porta Borsari. 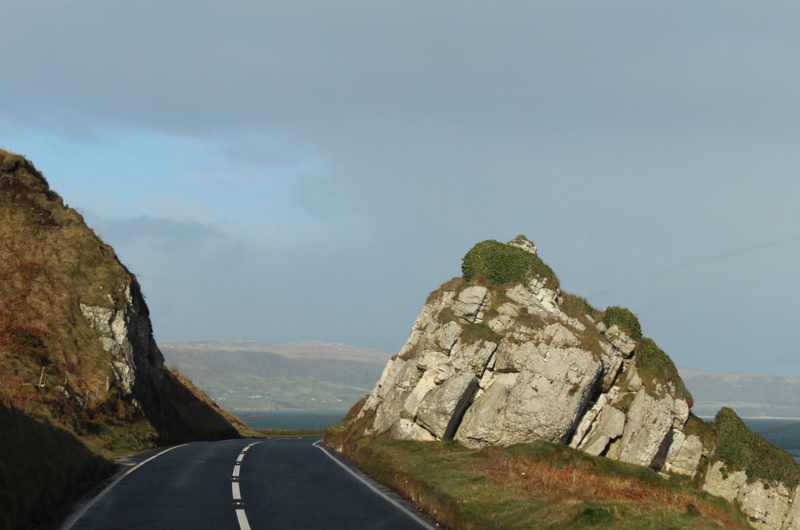 I really enjoyed my stay, and the staff were incredibly friendly! I normally prefer smaller, more traditional inns and I look forward to going back to Verona some day soon and exploring other hotels/B&B’s in the city. Wherever you stay, whatever you do and whenever you go, I’m sure you’ll find that Verona will stay in your heart forever!